I am going to assume if you are reading this you are well aware that there is something in the water in Sweden that makes them inherently more metal than those of us in the United States. I am also going to assume visions of Left Hand Path, Like an Ever Flowing Stream and Slaughter of the Soul are all dancing in your head right now. Maybe it was Kurt Cobain that led us astray from our true metal destiny, I am not sure, what I can say is not everyone followed. Sweden has been quietly soaking in the sexually transmitted sleaze rock/glam metal waters of the Sunset Strip for thirty years and has fermented into a thing called the New Wave of Swedish Sleaze Metal (NWOSSM if you really want to impress the cool kids at the local record shop). 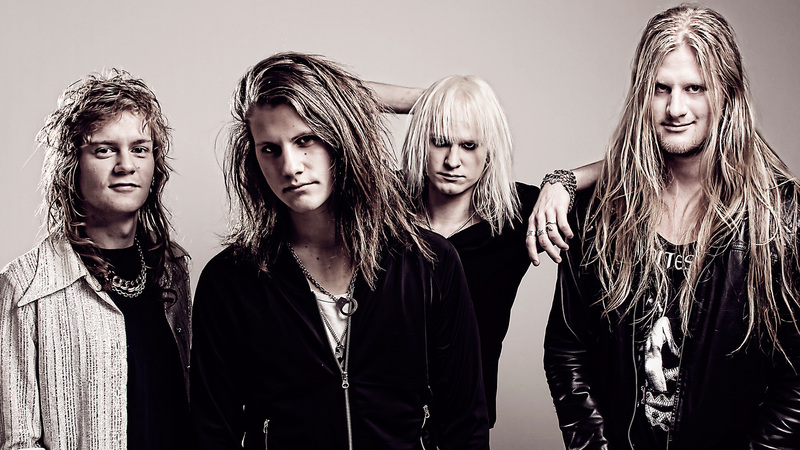 What happens when one of these Shotgun Messiah obsessed, flammable haired Swedish bands decide to embrace their inner Symphony X? Dynazty’s Renatus happens. 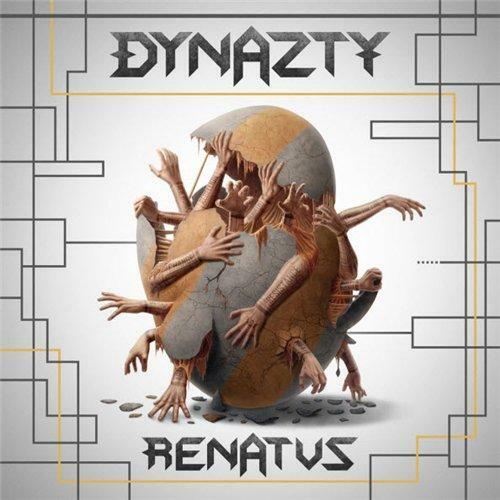 Renatus is the Latin word for rebirth and that is exactly what Dynazty did on this album. This conscious decision to leave the pure sleaze behind has produced the bands most powerful album to date. Guitarist Love Magnusson (feel free to take a moment to reflect on how much better his name is than yours) has cited the band’s influence on this album to the heavier side of the progressive and power metal scene. The technical and rhythmic riffing on the album is clearly a Michael Romeo influenced style but takes a bit more of a direct approach with each riff feeling very purposeful. Don’t mistake this straight forward riffing for a lack of showmanship, the leads on the album are tastefully shreddy and impressive. The drums on the Renatus are really what sets it apart from your typical power/prog record and keeps it grounded in a more traditional heavy metal/hard rock style. Drummer George Egg seemingly knows exactly when to pick up the double bass to accentuate a riff unlike many metal bands, sorry Dragonforce. The vocalist Nils Molin has an absolute killer delivery and doesn’t rely solely on hitting shrieking high notes to grab the listener’s attention. Just listening to the first two minutes of ‘Salvation’ show that this guy belongs in the elite group of metal vocalists. With what seems to be a trend on the album, the vocals are delivered with purpose and not at any point leave anything to be desired. More importantly than the individual performances on Renatus is the songwriting itself. Each song is full of vocal hooks, memorable riffs and melodic solos. ‘Starlight’ might be the most catchy/singable metal song I’ve heard all year. If you are not singing along and playing air guitar with ‘Starlight‘ by the middle of the track then I genuinely feel for you and those you love because you are incapable of happiness. ‘The Northern End’ is a mid-tempo driving track that captures that sense of empowerment and community that is a foundation of what real metal is: “You are now in the company of brothers, where we are holding one another, to the light is where we go”. ‘Salvation’ is a seven and a half-minute long track that opens reminiscent of Whitesnake’s ‘Sailing Ships’ and somehow turns into a an anthemic power metal journey. These are just examples of the quality of the songwriting on this album, there isn’t an easily skipable song on all of Renatus. Dynazty has delivered easily one of the strongest albums of the year with Renatus. The band seems to have finally found what it is they are supposed to do and I can imagine will only grow into a greater band for it. The band will be performing Renatus in its entirety at the sold out Progpower Festival in Atlanta and I for one will be unashamedly front and center with all my air instruments.